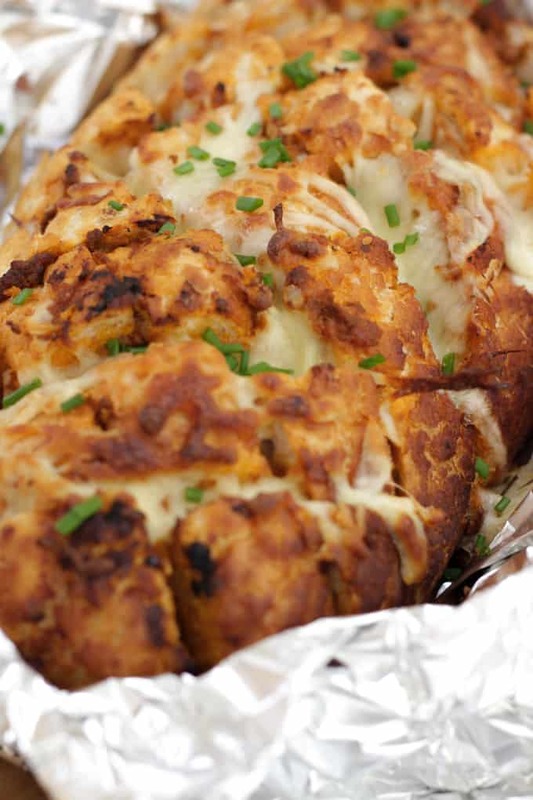 Cheesy Pesto Garlic Pull Apart Bread – A cheese filled treat. The perfect side dish for dinner or snacking. 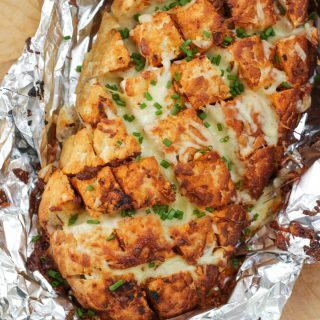 Pesto adds a depth of flavour to this pull apart bread with the mountains of melting mozzarella cheese. Oh hi autumn, where did you appear from? No sooner have the children gone back to school, and I can feel a distinct crisp chill in the air. In a flash my mind is on taking photos in falling leaves, new wooly jumpers and comfort food. ALL of the comfort food. For me, when the nights get darker and the evenings are chilly, it’s all about the carbs. And what’s better than carbs I ask you? Carbs and cheese, obviously. The people at Sacla’ pesto sent me a huge box of their pestos to try recently. I knew they would be a match made in heaven for my Friday night comfort food indulgence of pull apart bread last week. 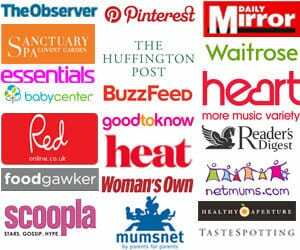 Sacla’ Basil pesto features regularly on our shopping list; saviour to parents everywhere. The ultimate child friendly must have meal maker. I have a slight panic attack if we run lower than three jars in the cupboard. Whatever grumpiness is going on in this house, we can always be sure that pesto pasta will cure some of the woes. I hadn’t realised that the Sacla’ range boasts seven different flavours – Classic Basil, Sun-Dried Tomato, Char-Grilled Aubergine, Roasted Pepper, Fresh Coriander, Fiery Chilli, Truffle – each inspired by a different region in Italy. 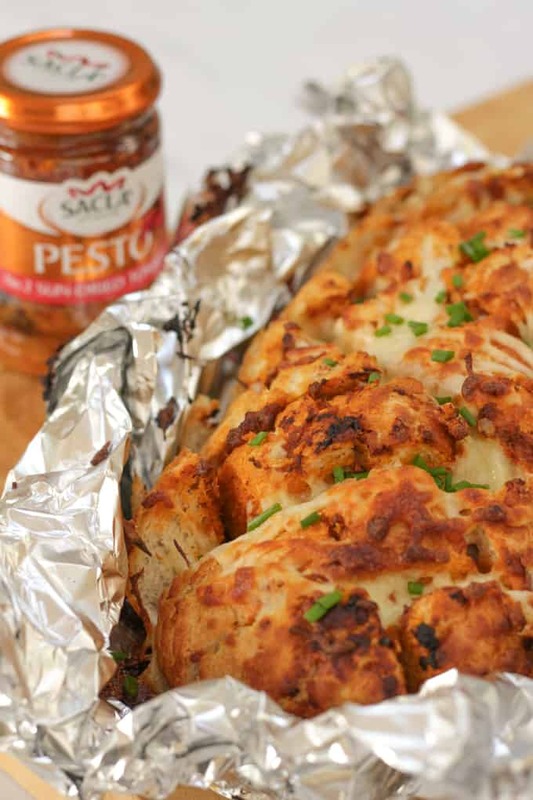 For this Cheesy Pesto Garlic Pull Apart Bread recipe I decided to use the Sun-Dried Tomato pesto. 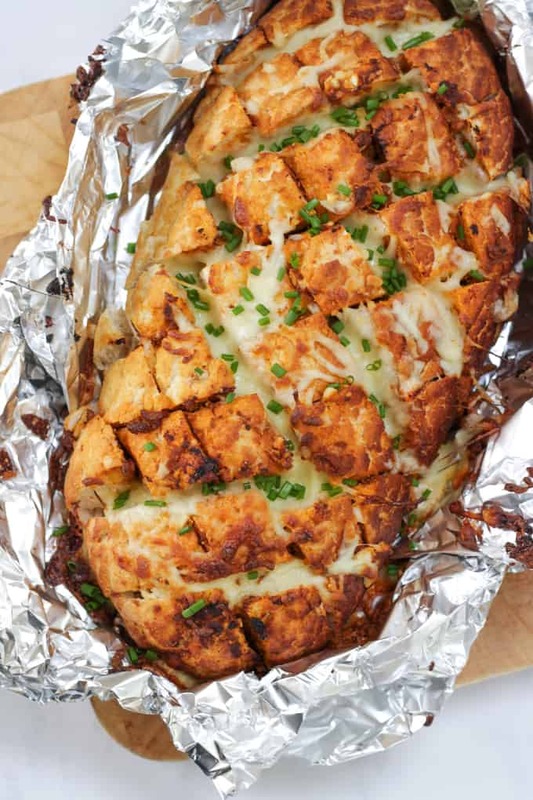 It gave a gorgeous colour to the bread and a depth of flavour with the mild mozzarella cheese. This is the perfect Friday night autumn comfort food to celebrate the end of the week, and the pesto really does make it. Are you pesto fans? What’s your favourite way to use this store cupboard must have? Let me know if you try the Sacla’ range and which is your favourite. I’m hatching a plan for Char-Grilled Aubergine Pesto smothered chicken pieces. Use whichever loaf you fancy (sourdough would be good) but make sure that it’s deep enough to be able to cut almost through and allow plenty of space to stuff with your fillings. You could add other fillings like leftover chicken, or pieces of ham to make a more substantial meal (served with salad for a little greenery). Try using different Sacla’ pesto flavours with different cheeses. 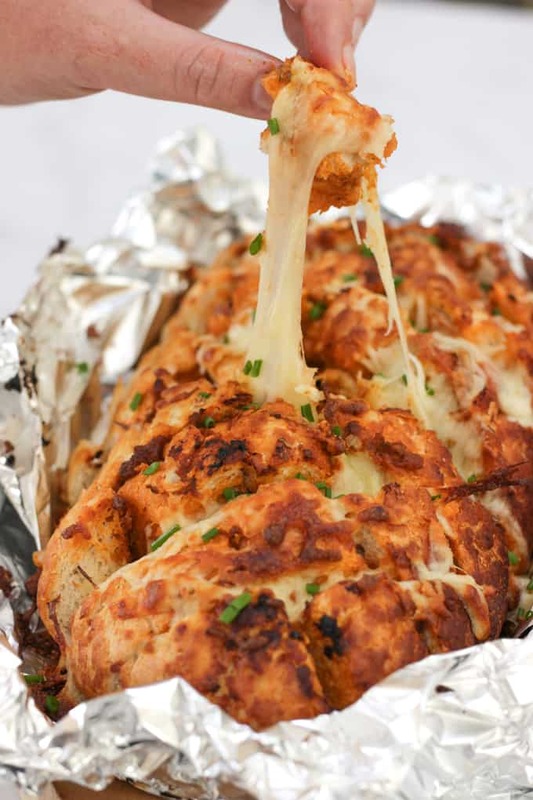 Cheesy Pesto Garlic Pull Apart Bread - A cheese filled treat. The perfect side dish for dinner or snacking. Pesto adds a depth of flavour with the mountains of melting mozzarella cheese. Cut down through your bread in slices, not quite to the bottom of the loaf. Repeat in the opposite direction, making a criss cross pattern, without the slices separating. Sit the loaf on a large piece of tin foil. Using a knife, stuff each cut with pesto, then garlic, and then the grated cheese. 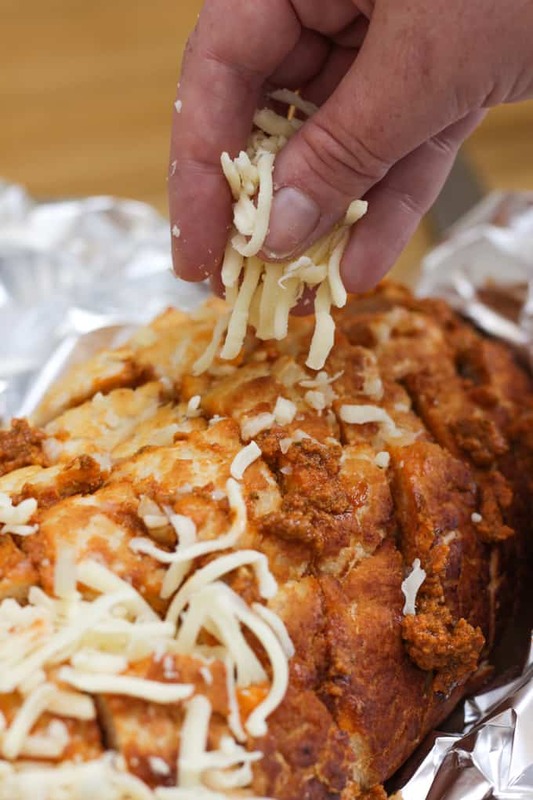 Wrap the loaf in the foil and back for 10 - 15 minutes of until all of these is melted and bubbling. Sprinkle with herbs and serve immediately. Disclosure: This post was commissioned by Sacla’. As always all opinions are truthful. Wow, this looks dangerously good!!! Blooming tempted to do this one weekend! Woah! This is definitely a piece of heaven. I made this last night and this made us speechless on how good it is. This is on top of my favorite list and going to be a staple in our home. Thank you for sharing this recipe. This looks delicious ????. We use pesto a lot but it’s nice to see a recipe that uses it for something other than pasta. Sorry, those question marks were meant to be a ‘love it’ emoji…! This was amazing! Great recipe. OMG! This is super delicious. I just have this for my breakfast and it just makes my day.